This was one of the best birthday parties I have ever thrown. 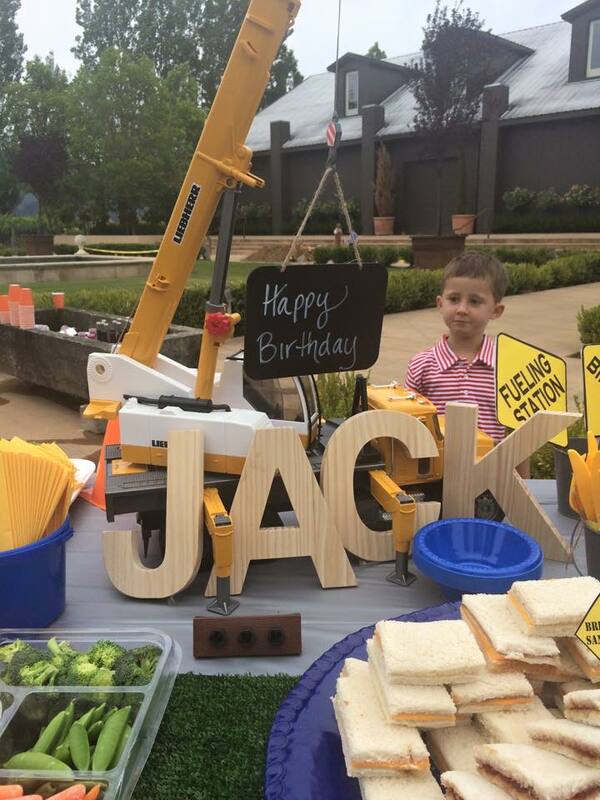 When our oldest son Jack Henry turned 3 he asked if we could make it a real construction party. After hours of searching pinterest, I came up with a few fun ideas that turned out amazing. The cake was kind of a funny story, or epic failure. When I arrived to pick it up, it was the worst version of a construction cake I had ever seen. Before checking out I grabbed a bag of oreos. I crunched all the oreos and grabbed some contraction toys I had as gifts for the kids (sorry kids!) and was able to salvage the cake. The food was the most fun to make - I used a ton of Jack's toys from the house ( mostly Bruders) and then used fun little tooth pick signs I downloaded from Etsy. (Here is a link for them on Amazon) Since Jacks name is short I bought these little wooden letters from Michaels. Here is a link to the Bruders crane truck - kind of a splurge but awesome. The signs are from amazon, but they were kind of thin so I purchased poster board and glued them to the back then cut them with an exacto knife. After they dried, I put a stick in the bottom for safe installation into the food. Here are a few others I ordered, Yellow signs. 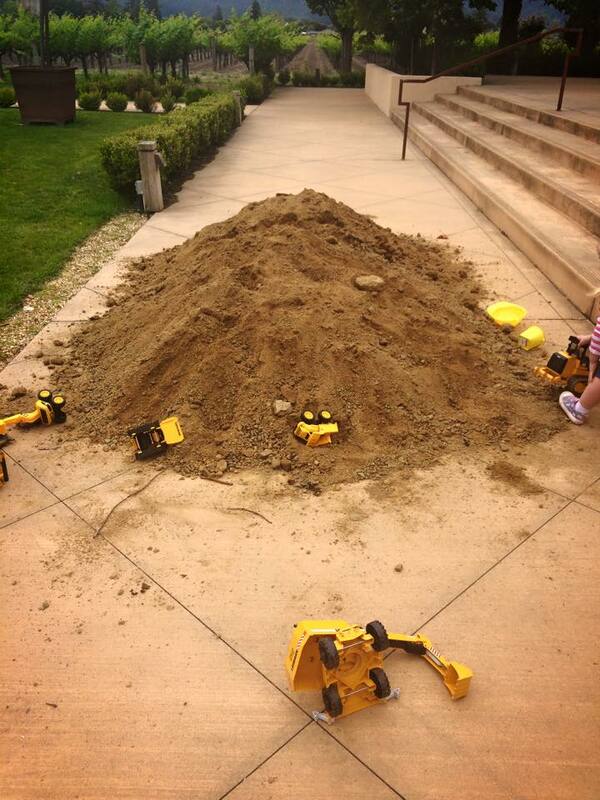 Since we had the dirt available to us, we made this amazing digger zine for all the kids! Hope y'all enjoyed this!